In what ways can digital media enhance, shape or constrain identity representation and communication? How do digital experiences map onto young people’s everyday lives? What are young people’s critical understandings of digital media and how did they develop these? What are the dominant understandings young people have of digital media and in whose interests do they work? These questions are addressed through the findings of a year of fieldwork with groups of young people aged 14 to 19 years. 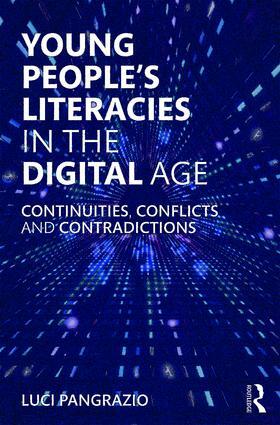 Over the course of eight chapters, the experiences and views of these young people are explored with reference to various academic literatures, such as digital literacies, media and communication studies, critical theory and youth studies. Starting with their early socialisation into the digital context, the book traces the continuities, contradictions and conflicts they encounter as part of their practices. Written in a detailed but accessible manner, this book develops a unique perspective on young people’s digital lives.